Long a symbol of benevolence, integrity and kindness, the peacock becomes a noble brooch in the hands of our London jeweler, Daniel Lyons. His openwork Art Deco design is handcrafted of sculpted metal plated with rhodium and translucent jewelers enamel. Colorful handset Swarovski crystals adorn the spectacular plumage of this peacock brooch. 2.25'' x 2.125''. 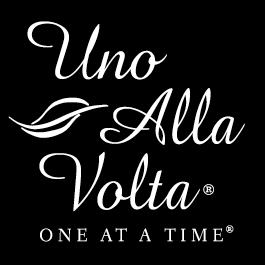 Handcrafte for Uno Alla Volta, from the heart and hands of the artisans. Limited quantity of only 11 available.